There are also two sentence-building exercises for each animal theme, which will build students' observation skills and help them transform those skills into conversation and written language. In addition to the step-by-step lesson plans, Joseph provides a detailed description of what the lessons will look and feel like in the classroom, complete with valuable, first-hand advice. In the back, you'll find an appendix with numerous suggestions for complementary activities for each animal theme, so you can supplement on the "off" days with art projects, music, books, and videos. "This book is packed with practical, easy-to-use material. It is also an unbelievable value. The author is a teacher who had to figure these things out on his own, without the benefit of excellent materials like this book. He created this material, test-drove it in his classroom, adapting and fine tuning it until it was ready to be shared. He wrote it to make teaching reading to a child with autism easier for you and for the child. 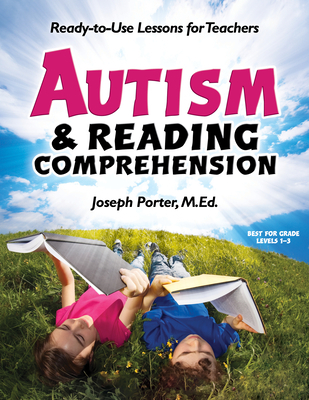 Highly recommended for every teacher of children with autism. Five stars out of five."